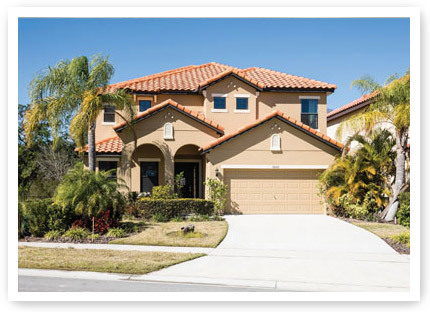 When it comes to property for sale in Orlando, Florida - Halcyon Palms Luxury Villa Resort is unique. It's an exclusive, gated community just minutes from theme parks such as Walt Disney World, Universal Studios Orlando and Legoland Florida. Our luxury specification villas for sale near Orlando offer a unique benefit - you can take advantage of the optional 150% developer buyback of your purchase price in year 10 - enquire for more information. Bordered by a nature reserve, Halcyon Palms offers stunning fully managed and fully furnished 4 bedroom luxury villas and 7 bedroom luxury villas for sale, complete with large pools, spacious rooms, en-suite bedrooms and modern amenities, coupled with exclusive resort facilities. Take advantage of this fantastic overseas property opportunity in one of the world's most visited locations, with hassle-free benefits included your purchase price. Enquire today to find out more about these incredible villa properties for sale in Florida.